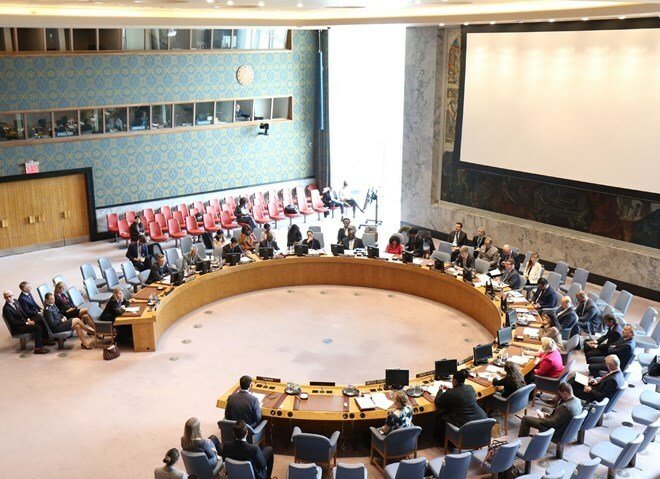 Vietnam and other United Nations member nations discussed women’s active role in peacekeeping during an open debate of the UN Security Council (UNSC) in New York on April 11. Addressing the event, Deputy Foreign Minister Le Hoai Trung, head of the Vietnamese delegation, said women play an active role in UN peacekeeping, especially in addressing gender-related issues, protecting and promoting women and girls’ rights, creating momentum for women and girls in the areas they are working in to participate in peacekeeping and positively impacting the settlement of sexual abuse and violence in UN peacekeeping operations. He said to improve women’s participation, the UN should promote the implementation of the UNSC’s Resolution 2242. He asked UN Secretary-General Antonio Guterres to look into barriers to women’s engagement in peacekeeping and propose solutions on the basis of the Gender Parity Strategy. Trung called on developed countries to boost their support for the Elsie Initiative for Women in Peace Operations to increase women’s presence in security and defence forces. The diplomat also emphasised that UN peacekeeping operations need to ensure basic principles of non-intervention, neutrality and relevant parties’ consensus. Since 2014, Vietnam has sent army officers to UN peacekeeping missions in South Sudan and the Central African Republic. The first Vietnamese female officer arrived in South Sudan in 2017. Vietnam currently has 10 female army officers at its level-two field hospital in South Sudan and will continue promoting women’s participation in UN peacekeeping forces, Trung said. In his speech, Secretary-General Guterres reaffirmed the UN’s efforts to enhance women’s representation in peacekeeping by rolling out the Uniformed Gender Parity Strategy 2018-2028. He said the UN is stepping up the implementation of Resolution 2242 on women, peace and security, adopted in 2015. He also applauded the promotion of the Elsie Initiative that aims to raise women’s participation. Guterres called for assistance from member states in sending more female officers and focusing more on women in battalions and police units at peacekeeping missions. At the debate, UN member states stated their support to the UNSC’s resolutions on women’s role in all stages of the peace process as well as peacekeeping operations. Many said it is necessary to ensure gender balance in peacekeeping forces by increasing the number of women officers and creating fair opportunities for women to be appointed to all positions, especially leadership, in UN peacekeeping operations and the security-defence system of countries. They noted that ensuring gender balance in UN peacekeeping forces will have positive impacts on the settlement of sexual exploitation, abuse and violence.